All over the world, malt balls are a favorite for older candy fans and younger ones alike. While some people may think malt balls are a candy of the past, it still hits the list for top 25 Halloween candies and a popular movie theater classic. From the original chocolate flavor, to more zany flavors like blueberry, malt balls are a delicious confection enjoyed by millions all over the world. How was the malt ball invented? What fun facts are out there about the candy? How can malt balls be reinvented into new, unique desserts? We answer this and more in this awesome guide to chocolate malt balls! Interested to see if Whoppers and Maltesers are just about the same? Watch this video to find out! Chutters Candy Counter has over 10 different flavors of malt balls, including: mint, blueberry, peanut butter, chocolate raspberry, milk chocolate, chocolate peanut butter, dark chocolate, the “ultimate” malt balls, etc. 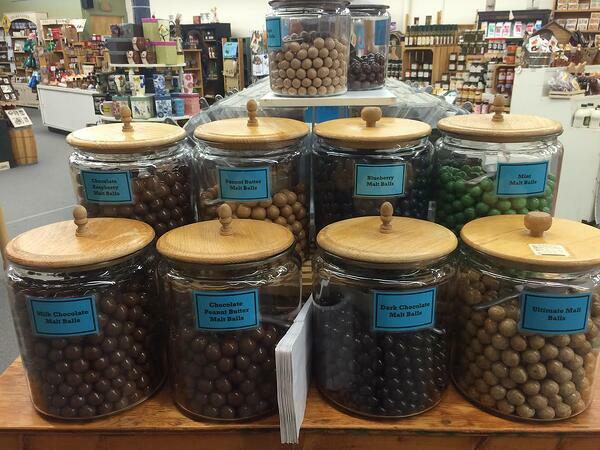 The flavors rotate often, so call Chutters to make sure your favorite malt balls are on the shelf! Want to do something fun with your recently bought, uniquely flavored malt balls from Chutters? Here are a few of our favorite recipes that include this delicious confection. Well, there you have it! These malt ball desserts would be perfect for your next upcoming holiday party, or just to sit at home and eat by yourself. 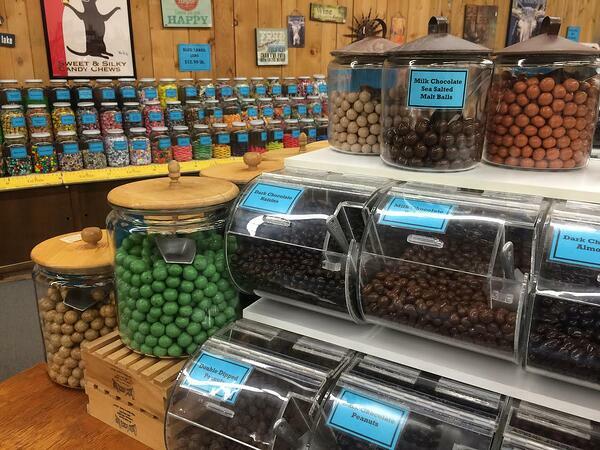 Bring the family to Chutters, the world’s longest candy counter, to grab your fill of several flavors of malt balls. If the kids aren’t as into malt balls, there are dozens of other candy choices too. Visit us and try homemade fudge, truffles, locally made maple candy, and more. If you’d like to continue seeing information about Chutters, candies, and downtown Littleton, subscribe to our newsletter!